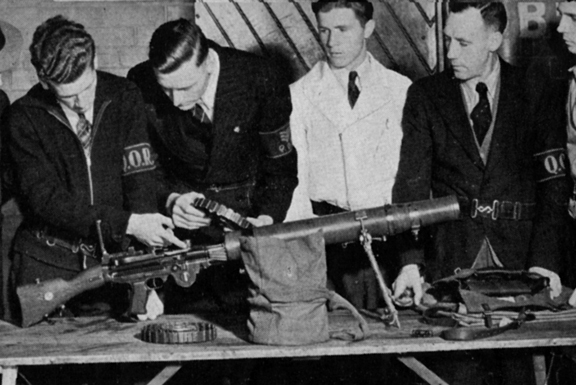 The outbreak of the Second World War saw a rush of men volunteer for the Canadian Active Service Force (CASF). Procurement of the necessary uniform items, including the newly adopted battle dress field service cap and Pattern 1937 Web Equipment could not keep pace with the influx of recruits. Shortages plagued the efforts of units to clothe and initiate the new recruits into the routine of army life. 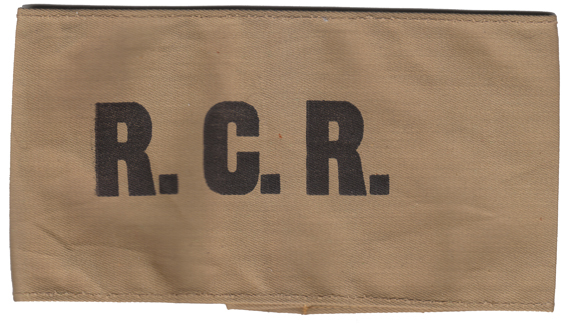 Plain armband of The Royal Canadian Regiment. Black silk-screened on tan cotton. Courtesy B. Alexander © 2014. Image may not be used without express permission. Canadian Fusiliers. Black silk-screened on natural cotton. This is one of the few that includes an image in addition to lettering. Courtesy B. Alexander © 2014. Image may not be used without express permission. Responsibility for the recruitment and basic training of new soldiers rested on the individual regiments. [i] These regiments and corp units were challenged to outfit these volunteers and needed to identify recruits who had attested for service. To answer this many regiments adopted “CASF” armbands. These armbands identified the individual as a soldier to the civilian population while, at the same time, started the process of instilling regimental pride and identity in the soldier. The armbands filled another purpose; with the new battledress uniform, insignia was kept to a minimum and armbands were often the only distinction that identified the particular unit. Finally, they were also worn by the regimental cadre as a form of regimental identification in public. Stormont, Dundas and Glengarry armband. This example displays their 3rd Division status. Courtesy B. Alexander © 2014. Image may not be used without express permission. 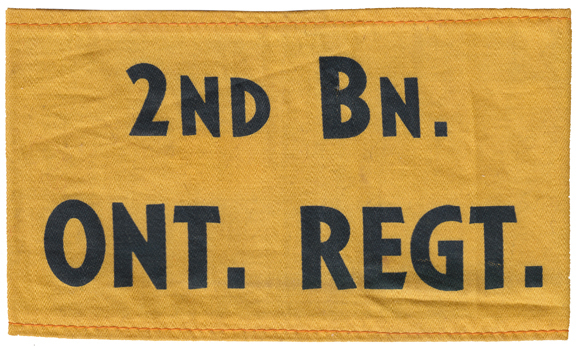 2nd Bn, Ontario Regiment. Courtesy B. Alexander © 2014. Image may not be used without express permission. 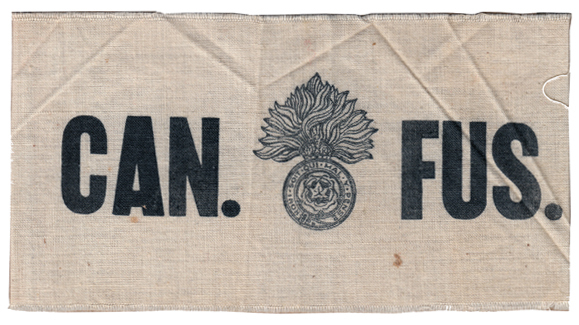 The armband was issued for a number of reasons: when battle dress was not available; where battle dress had been issued and then withdrawn for re-issue to another regiment (a news photograph shows such a case where a sergeant of the Queen’s Own Rifles wears the armband with the addition of sergeant’s chevrons); or, where the soldier was recruited into the second battalion (which had not been raised as part of the CASF) and neither the prewar Service Dress nor battle dress uniforms were available. The Canadian Army of the day was highly sensitive to the distinctions between the ‘Active’ army and the Non-Permanent Active Militia (NPAM), or reserve army, to which most second battalions belonged. This distinction was often demonstrated on the armband. Economical construction consisting of flocked printing on a felt armband. Courtesy B. Alexander © 2014. Image may not be used without express permission. 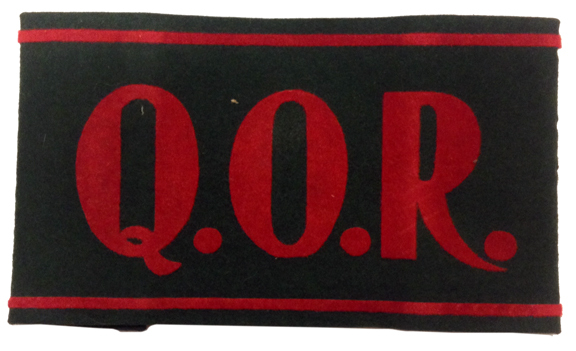 Armband to the 4th Casualty Clearing Station, Royal Canadian Army Medical Corps (Non-Permanent Active Militia). Courtesy B. Alexander © 2014. Image may not be used without express permission. 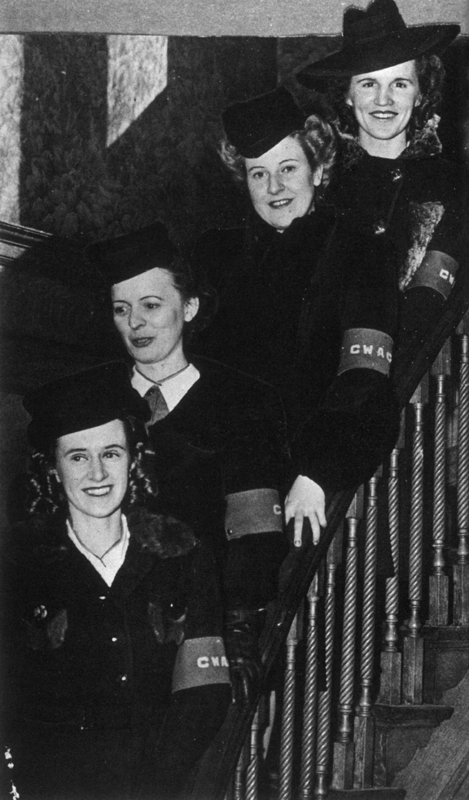 By 1940-41 stocks of uniform items were available in sufficient quantity that the armband was no longer necessary – or was worn for a very limited time during the soldier’s first few days in service, although the same situation arose when the Canadian Women’s Army Corps (CWAC) was formed in 1942. 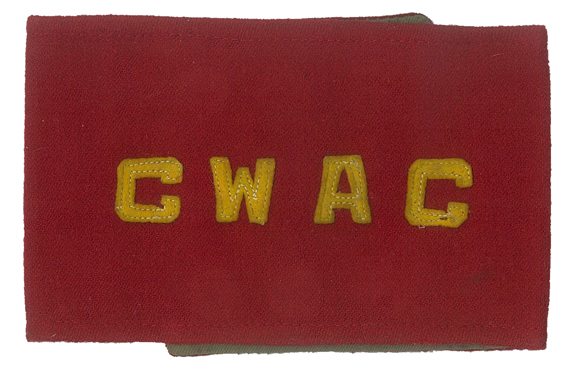 A CWAC corps armband was worn until sufficient supplies of CWAC uniform were available. No documentation on the authorities to manufacture, issue or wear these armbands has been uncovered. It is relatively certain that, with the possible exception of the CWAC armband, there was no National Defence Headquarters initiative behind their use. Design and construction vary and range from very plain (The RCR limited itself to the simple regimental abbreviation, in black, silk-screened on a khaki armband) to the thread-embroidered ‘Black Watch’ on a tartan armband. Equally varied are the materials, with a light-weight cotton being the most common but also several made of melton wool and some examples on silk. [i] It would be 1942 before training was consolidated in Training Centres in order to reduce the manpower required to provide instruction and, at the same time, produce soldiers to a common standard.